For the past 02 decades, Help Tourism has been working on several heritage sites in India, Nepal, Bhutan and Bangladesh. 02 World Heritage Sites have been in core focus, the Darjeeling Himalayan Railway area and the Sunderbans Tiger Reserve, because of being under 01 state administration, West Bengal, but extreme in their landscape, alpine in the East Himalaya and the estuarine in the Bay of Bengal sea. This has made the livelihood of the people also extreme in their own way, but most people here live below the poverty line and dependent on the local natural resources. At both places Help Tourism work to create a sense of ownership and pride about their World Heritage Site among the local people. There is a unique program which has been implemented by Help Tourism and the network organizations. The ‘Exchange Program’, which has been carried out for 05 years now between the people of Darjeeling Himalayan Railway area and Sunderbans Tiger Reserve area has shown better understanding for their own sites. The program was started with the Nepali Girls School, one of the oldest schools in Darjeeling run by missionaries for girls from the remote tea garden and forest villages of Darjeeling Hills to have their educational tour to the Sunderbans and interact with the children there, this was followed by the visit of school teachers of various schools from the Sunderbans Tiger Reserve area. Also, a team from the Bali Wildlife and Nature Conservation Society and the Sunderbans Jungle Camp visited the DHR area. The other was the visit of the administrative teachers of Modella Caretaker Centre & School from the DHR area of Siliguri, who also run a DHR Heritage club in school. From their visit, they decided to send their senior students of the school for educational tour to Sunderbans. 48 students, Class 12 boys and girls, their last few months left in school. After this they will be preparing for a more career based life at graduation level. The school decided on an innovative educational tour, where every student in this tour is connected to the most isolated islands of West Bengal. The 102 islands of Indian Sunderbans, 54 home for humans and 48 territories for the tigers. The legendary islands are now part of the Sunderbans Biosphere Reserve and World Heritage Site, where both man and tigers live every single day. This is not an easy task. 47 of the 48 students have no clue of the great network of the Indian Postal Service, though there would be about 10 odd head post office, post offices and sub-post offices around the area they stay in Siliguri or Jalpaiguri. This is probably because of the reason that there is no way that the post offices have any relevance to their day to day life. They have been given the responsibility to connect one child or youth each from the Bali island of Sunderbans, who has no clue of emails or courier, but about 30,000 islanders sharing a post office, the only communication for them with the outside world. This is probably the reason why the celebrity film director from Bengal, Aparna Sen based her film ‘Japanese Wife’ on this island, a story based on pen friends. The whole crew probably spent about 80 days at the Sunderbans Jungle Camp at Bali. 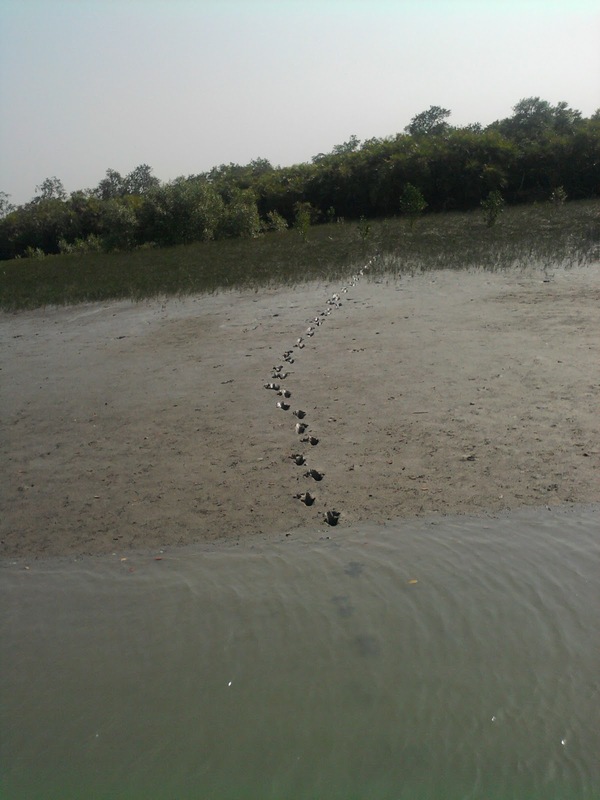 The short excursion of 04 nights ex-Siliguri was focussed on connecting the students to the natural wonders of Sunderbans in the first part and to the people in the second part. The students were a mixture from different subjects, which included Geography, Commerce and Bio-Science. This article will be followed by posts from students of Modella Caretaker Centre and School (MCCS), Siliguri, Class 12 students who had gone on this tour. 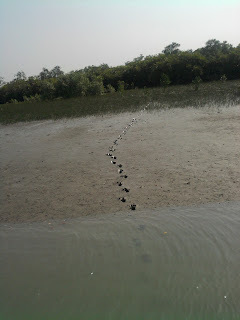 So keep following this blog to know more about Sunderbans.